The official birthstone of January, garnet was only adopted by the American National Association of Jewelers in 1912. It is also the stone for the Zodiac sign Aquarius and in ancient times was believed to have very powerful healing abilities. Garnet is the most commonly seen as a deep red-colored stone but also comes in shades of green, orange, pink, and purple. 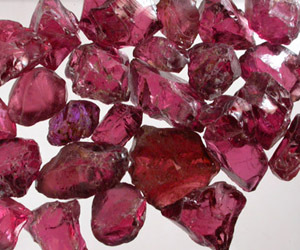 It is mined in India, Australia, the United States, and the highest quality garnets are found in East Africa.